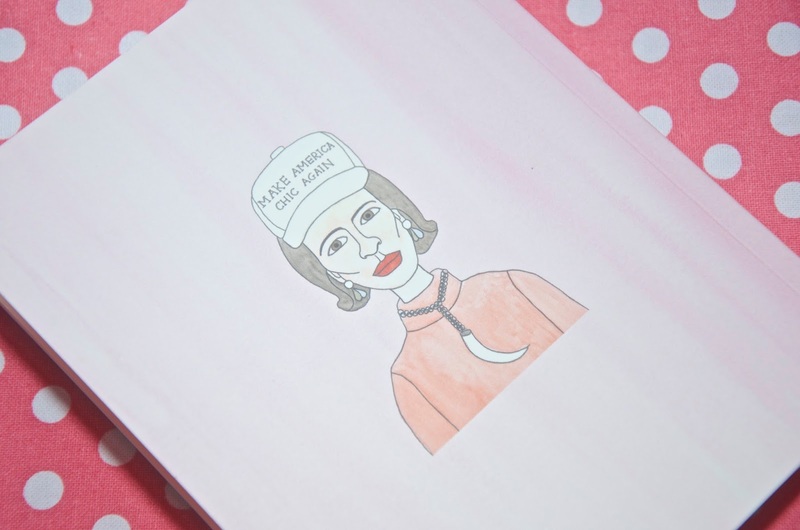 If you're a fan of fashion illustration or things that are funny, then you will find Tongue in Chic: The Fabulous Fashion World of Angelica Hicks to be an absolute treat! With an introduction by American Vogue's Hamish Bowles who has known Angelica Hicks all her life, Tongue in Chic is the latest must-have for beautiful bookshelves lined with fashion titles. Expect to start seeing this book all over Instagram soon... It's too cute not to be shared and Angelica Hicks began her career posting on the 'Gram, so add this one to your list of cute books to start snapping! Tongue in Chic is proof positive that fashion doesn't need to be taken too seriously and like anything else, is best served with a sense of humour. 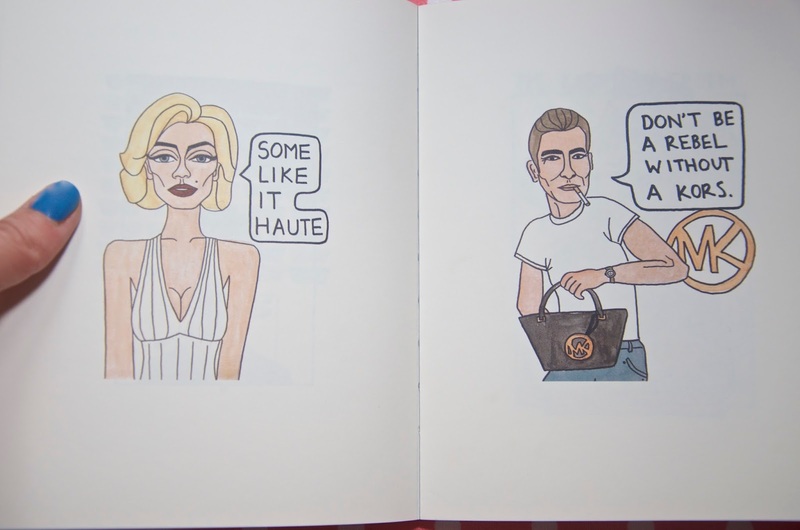 Witty, cleverly illustrated puns fill the pages celebrating fashion trends, noteable fashionistas, designers and celebrities. The illustrations are broken down into six categories including Fashion Weak, Fashion Fanfiction, Impossible Collaborations, Sartorial Supermarket, Artistic License and High-Powered Hybrids. 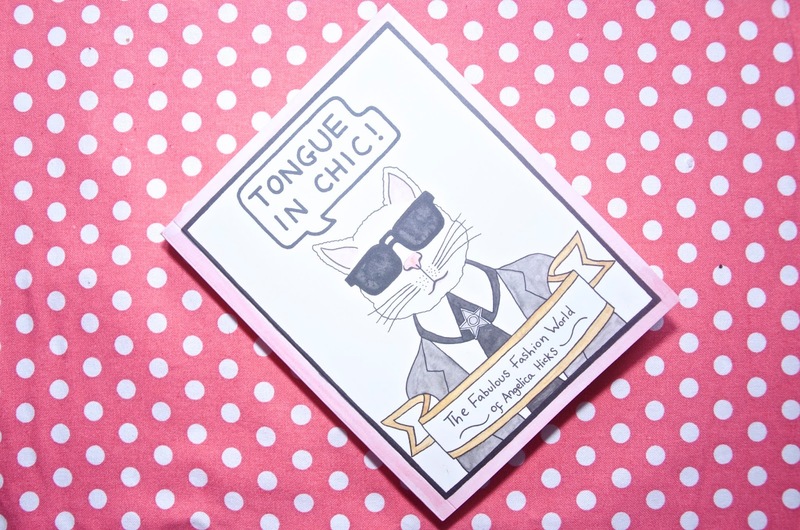 Tongue in Chic is the perfect gift for anyone who loves fashion, so earmark this one for any upcoming birthdays, but I won't be at all shocked if you decide to buy one for yourself first! Pull up a chair, kick off your Jimmy Choo Choo's, grab a CaPuccino, a Leo Decaf-rio or Ariana's Grande, put up your feet and settle in for a night of fashionably artsy giggles in this book you'll be sure to flip through time after time. Tongue in Chic is available online via Laurence King Publishing. Click here to visit Angelica Hicks's website for more information about her and her illustrations or follow her on Instagram for a daily dose at @angelicahicks.